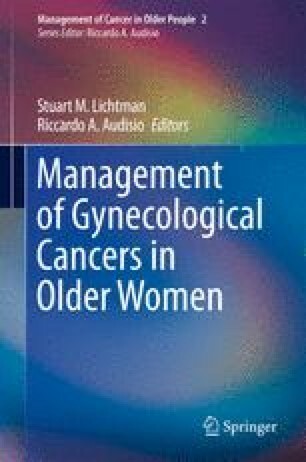 Chemotherapy is a key component of treatment of women with epithelial ovarian cancer regardless of age. Increasing comorbidities and changes in drug pharmacodynamics and pharmacokinetics with increasing age can lead to increased toxicity. The assessment of renal function is vital for accurate dosing of renally excreted agents such as carboplatin. While data from clinical trials specifically in older adults is limited, data from subgroups of elderly patients informs clinicians of the utility and toxicity profiles of chemotherapy. The pharmacological characteristics of the commonly used chemotherapeutic agents are further explored.